Microsoft is transitioning its Office program from a one-time purchase price to a paid monthly rate. 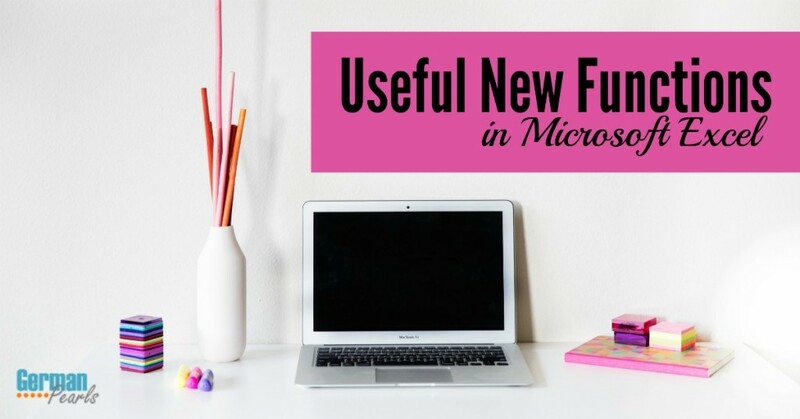 One of the advantages of the new payment structure is the ability to always have access to the latest Microsoft Office update, without ever having to pay for an upgrade. If you’ve been wondering about the value in this, you may be interested to hear about a recent Microsoft Excel update. With version: 16.0.6568.2025, released in February 2016, Excel now includes six new functions. I know I’ll definitely be using some of these in the future! 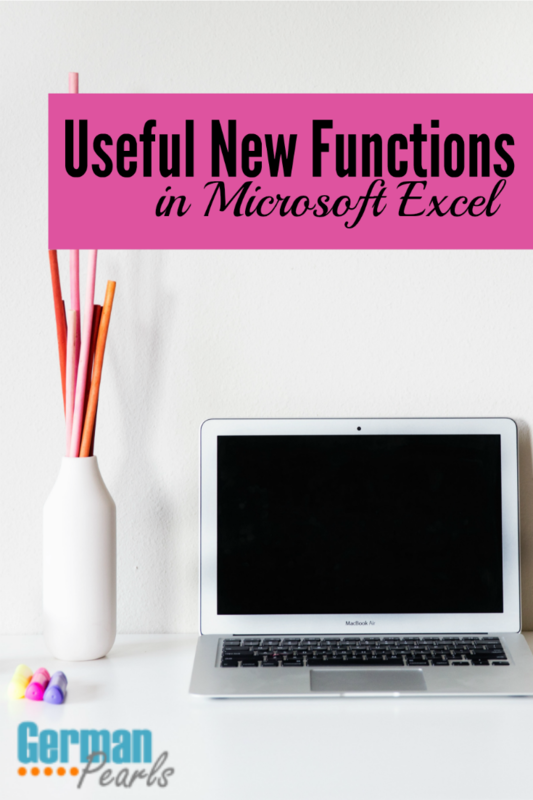 Here’s a quick breakdown of the new functions the Microsoft Excel update. If you’re on the monthly plan you should already have access to these functions. If you’re not on the monthly plan and interested in learning more, check out Microsoft’s Office options here . In a previous post we showed you how to combine cells in Microsoft Excel. The new CONCAT function will also combine (or concatenate) cells. To use the CONCAT formula you type =CONCAT and then, in parentheses, add the items you want to join together. 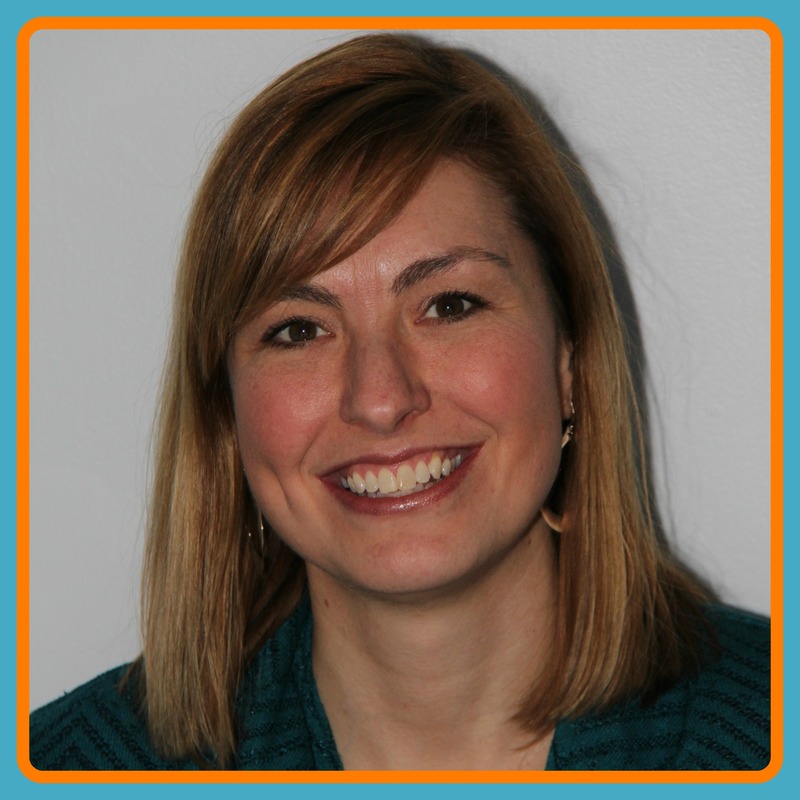 The items you add can be cells, text or a mix and should be separated by commas. Note that the characters you’re including, a comma and space, are enclosed in quotation marks. You don’t use quotation marks when referencing cells. This formula replaces the older CONCATENATE formula which still appears in older versions of Excel. You can include up to 253 arguments in this formula. In other words, you can join up to 253 items. If the resulting field is more than 32,767 characters it will return an error. The TEXTJOIN function is similar to the new CONCAT function but it adds a delimiter (a character you specify) in between the items you’re joining. If you want to join several words but want a space in between each one the space would be your delimiter. Some other common delimiters are a comma (,), a comma with a space after it (, ) and an ampersand (&). In addition to having to specify what you’d like to use as a delimiter you also have to tell Excel how you want it to handle empty cells. Do you want to add the delimiter and an empty space or skip over it completely? Let’s look at a few examples. So, to use this formula you type =TEXTJOIN and then, in parentheses first write the delimiter you’d like to use (enclose this in quotation marks), then, after a comma, write TRUE or FALSE (NOT in quotation marks) and then add the items you’d like to join, separated by commas. Let’s say cell A1=A, B1=B, C1 was empty and D1=D. The formula above would return: A1&B1&&D1 . Notice since we used FALSE for the ignore_empty argument a delimiter was still used before and after C1 even though it was an empty cell. 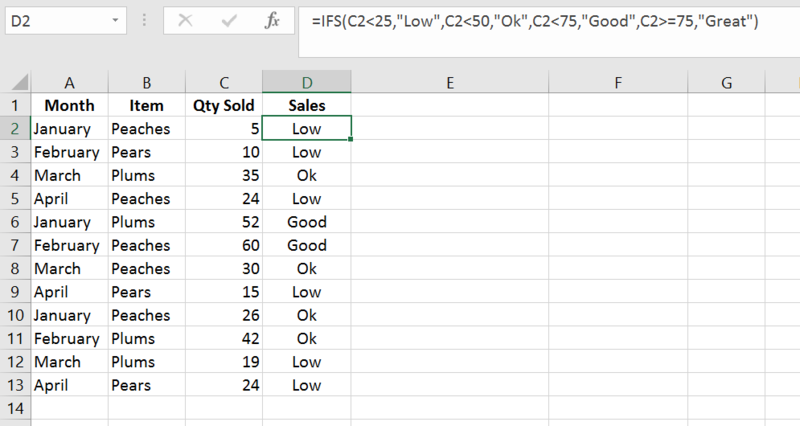 If you’ve ever used a nested if statement as shown here on the MBA Excel blog, you’ll be happy to learn about this new formula in the Microsoft Excel update called IFS. IFS is way to create an if/then function with multiple if statements. To create several if/then statements type =IFS then, in parentheses, add the if part of the statement, followed by the then part of the statement, separated by commas. Repeat this for each if/then statement you want to use, separating each new set from the previous with a comma. This formula will return “Low” for any value below 25, “Ok” for values of 25 through 49, “Good” for values 50 through 74 and “Great” for anything 75 or more. In the example we’ve copied the formula down column D so you can see the results as it evaluates the values in column C.
To create an “else” statement, specify a positive result for the final if statement such as 1=1 or writing TRUE. If none of the conditions return a true value, you will get an error message. You can list out up to 127 pairs of if/then statements in the IFS function. The new SWITCH function in Excel allows you to compare an expression against several values and return a result corresponding to the matching value. This may sound a bit confusing but should be clearer in the example below. Note that the month word is text so is placed in quotation marks but the result we want returned is a number so we don’t need to enclose the results in quotation marks. Also note that we want the cell to display ??? when no match could be found. This allows us to quickly check for errors in a large document. If you’ve used the MAXIF function before you’ve probably ran into an occasion where you wanted to reference more than one criteria. You used to have to create a formula like the one found on the contextures blog to achieve your result. Now the MAXIFS function allows you to use several if criteria. The example below shows you how to use the MAXIFS formula. To use the MAXIFS function in the recent Microsoft Excel update you write =MAXIFS and then, in parentheses, you first enter the range you want to evaluate for the maximum value. Then, after a comma, you enter the range you want to evaluate for your criteria, another comma and the expression to evaluate for the range. If you have more criteria you can enter them after the first, separating them all by commas. Note that the first thing entered in the parentheses is the range C2 through C13. This is the range that contains the maximum number we want to find. Next we enter the first range we want evaluated, A2:A13 and the criteria for that range, “January”. (Note that January is enclosed in quotation marks because it is text.) Then, after another comma, we enter the next range, B2 through B13 and the criteria to evaluate against, “Peaches”. Notice that instead of specifying the range C2 to C13 we wrote C:C. This tells Excel to evaluate the entire column. Since we’re evaluating the entire column for the maximum value we also must evaluate the entire column for each criterion. If the ranges specified don’t match in size and shape the MAXIFS function will return an error value. Similar to the MAXIFS function the MINIFS function can evaluate a range for a minimum value when corresponding ranges meet specified criteria. To use the MINIFS in the recent Microsoft Excel update write =MINIFS and then, in parentheses, enter the range you want to evaluate for the minimum value. Then, after a comma, enter the range you want to evaluate for your criteria, another comma and the expression to evaluate for the range. If you have more criteria you can enter them after the first, separating them all by commas. The formula is the same as above except the function MINIFS is referenced at the beginning. Just like with MAXIFS, if the ranges of cells specified don’t match in shape and size the formula will return an error. With quite a frugal personality I had a hard time accepting the idea of paying monthly for Microsoft Office. The benefit of always having the latest upgrade didn’t seem significant to me. After all, I can get on a computer running Office 2007 and still work fine. However, now that I have seen some the recent upgrades and these new functions in the Microsoft Excel update I’m glad to be on the Microsoft Office 365 plan . I know I’ll be using some of the functions above pretty regularly. 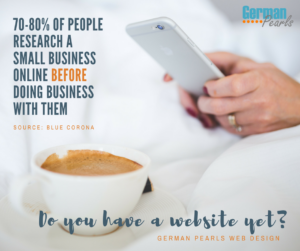 If you have the latest Office check these out. If you have any difficulty using them leave a comment below so we can help out!